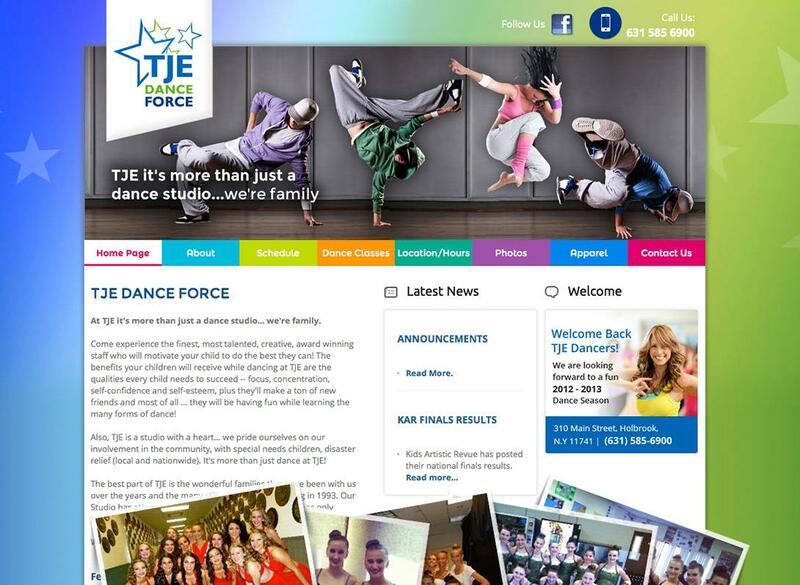 TJE Dance Force is a family-oriented dance studio in Holbrook, NY on Long Island. Their Waypoint website lets them add new pictures, update schedules and post news quickly and easily. Their site design shows off the fun atmosphere that they are proud of.